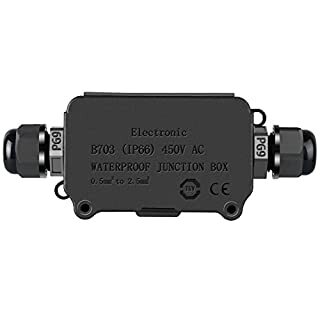 IP66 rated fully sealed lid making it completely waterproof often used in ponds fully submerged in water. Plastic captive quarter turn lid screws these screws do not rust and are not easy to loose when fitting. 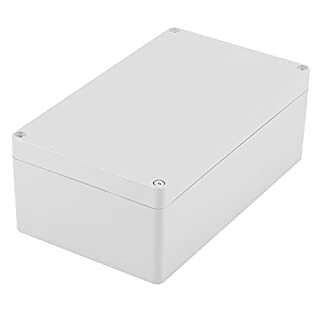 Masterplug Weatherproof IP54 enclosure supplied with 4 socket 10 metre extension lead.Ideal for temporary outdoor power solutions, such as for outdoor lighting/decorations. 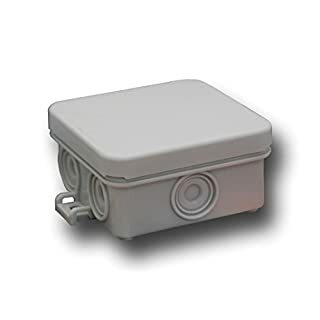 Description: This junction box is mainly used for indoor and outdoor electrical, communications, fire fighting equipment, iron and steel smelting, petrochemical, electronics, electricity, railways, construction sites, mines, mining, airports, hotels, ships, large factories, coastal factories unloading dock equipment, sewage and waste treatment facilities, environmental hazards facilities, etc. Specifications: Material: ABS Size(optional): 89*59*35mm/3.5*2.32*1.37in 115*90*55mm/4.52*3.54*2.16in 158*90*60mm/6.22*3.54*2.36in 200*120*75mm/7.87*4.72*2.95in IP Grade: IP65 Quantity: 1 Package Includes: 1 x Junction Box with Accessories Note: 1. Please allow 1-5mm error due to manual measurement. Thanks for your understanding. 2. Monitors are not calibrated same, item color displayed in photos may be showing slightly different from the real object. Please take the real one as standard. 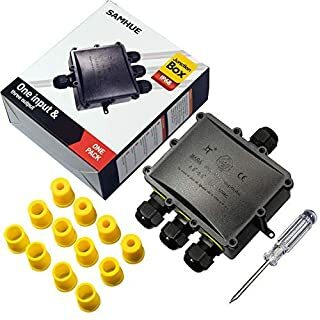 The waterproof grade has been further improved to IP68 .With the 3 sets of different size sealed silica gel pad plus the free wall screws and screwdriver, you can make a easier connection and operation. 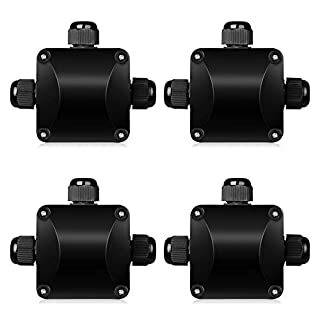 Specification Housing Material: ABS+PVC Ampere/Voltage: 24A / 450VAC Wire diameter: 4mm-8mm & 8mm-12mm & 10mm-14mm Size: 160* 120* 60mm Internal space :110*90*50mm Water and Dust Proof: IP68 Color : Black Features: 1.Professional waterproof design, the grade of the waterproof is updated to IP68, and it has fireproofing function, dust-proof function, anti- impact function, these functions make sure it could be durable in the long time using in the sunny or rainy days. 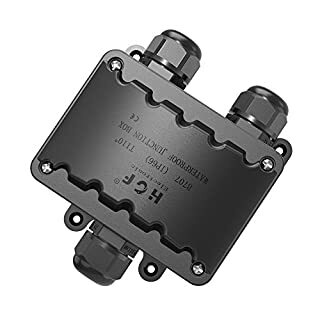 2.Equipped with up to 3 sets of different size sealed silica gel pad, the junction box is widely applicable for different sizes of the cable (Diameter from 4mm to 14mm). 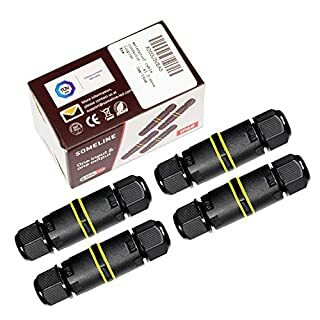 3.For providing a worry- free operation for our customer, the wall screws and screwdriver were packaged ; These free items can be used to fix the cables and to make a easy installation. 4.Made of improved ABS+PVC material, it will not crack or fade in long time sun exposure, durable and stable. 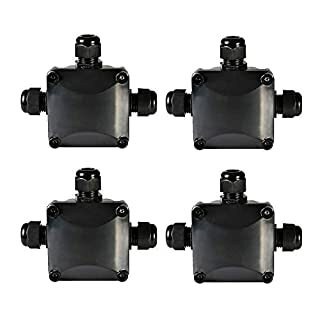 5.Tested and verified, the 4 way junction box did not get any water in during 72 hours under the water of depth of 4 meters. 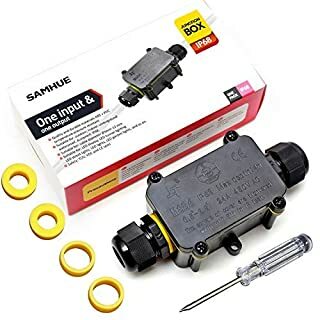 Packing List 1 x 4-way junction box 1 x screwdriver 2 x 3-terminal group 2 x wall screws 12 x Rubber Ring Note:For providing a worry-free shopping experience for our customers, a refund or replacement service are provided.Should any help you need or any question you have, please feel free to contact us at support@samhue.com. This is the largest box in the range and measures 330mm (W) 230mm (H) 140mm (D). 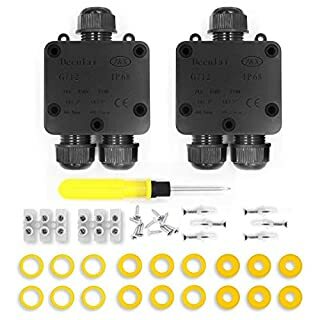 The design incorporates a very simple hinged clamp mechanism that can be opened or closed in a second allowing access and closure immediately without the need to release or tighten screws. 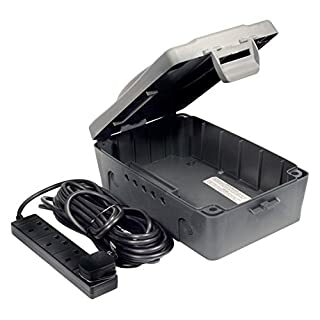 the lid also features an innovative waterproof interface which moulds around cables when clamped to the box, giving you complete peace of mind.The volume of the box was also considered a key design feature as we all know space can be taken up quickly with transformers, controllers, excess cable, timers and the gang socket. 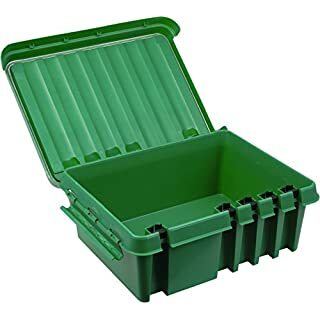 therefore we made the box much larger than current models available on the market with enough space for a 4 way gang with all other necessaries mentioned above.This product is a must for your Christmas display this year. 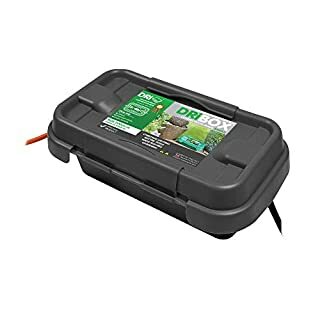 you can also use the box throughout the year to protect electrical connections during gardening and outdoor maintenance jobs. Compared to the old version, the waterproof rating is updated to IP68. 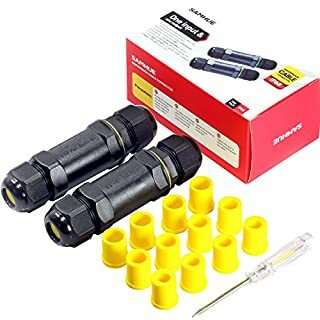 A screwdriver is provided free of charge, which can be used to fix screws and is easy to operate.It can be used in homes, gardens or farms,etc. Features 1. 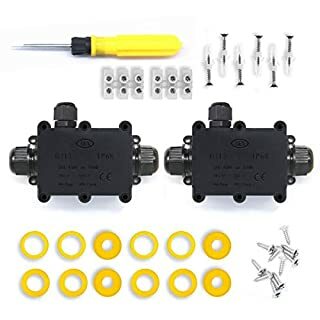 Equipped with a sealed silicone pad for both ends of the junction box. 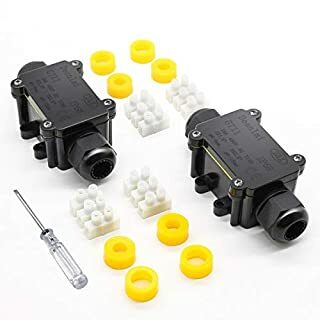 Supports 4-9mm cables for different wires to prevent moisture ingress. 2. 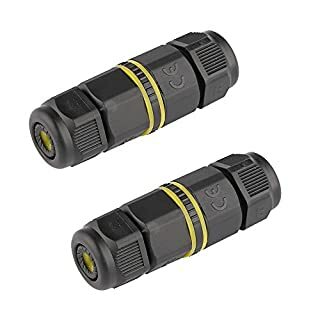 Waterproof junction box cable connector can be safely used in home, garden or outdoor lighting. 3. Repair and extend the cord safely enough. 4. 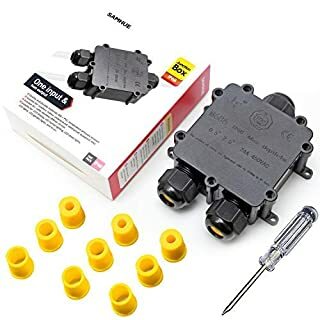 The design is simple, easy to install, moisture-proof and dustproof, safe and reliable, DIY tools, perfectly sealed cable. 5. 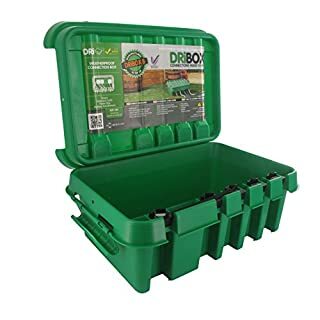 Made of high-quality plastic, will not break or fade, durable. 6. After testing and verification, water will not penetrate 4 meters deep inside the box within 72 hours. 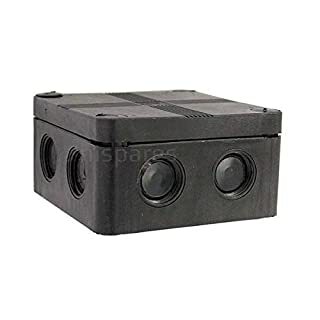 Specification Housing Material: ABS+PVC Solid: 2C*3C 0.5mm²- 4mm² Ampere/Voltage: 24A / 450VAC Wire diameter: 4mm-9mm Size: 68* 16mm Waterproof: IP68 Color : Black Packing List 4 x junction box 1 x screwdriver 8 x Rubber Rings Tips If you are dissatisfied with our product or have made a mistake, please tell us the return or refund.We are also proud to provide lifelong customer support. Please contact us at support@someline-led.com and tell us more details, thanks.